You’ll notice we use different kinds of referent for LEGO in various places on this site and in our book – or Legos, as they say in the States. (Alison has to keep reminding herself to use this version, which does not come quite as naturally, but ends up remembering too late and calling them “Lego-S” (you have to imagine a slight hiatus in pronunciation here). That’s because sometimes we are talking about the toy, or the company or a whole range of uses of Lego (S), some of which we touch on in Other Things Lego. When we talk about LEGO SERIOUS PLAY, however, we are referring to the adoption of a systematic set of instructions and techniques for exploring complex ideas with Lego bricks. Since first drafting our LEGO and Labyrinths chapter in 2012 Alison has worked extensively with LEGO and LEGO SERIOUS PLAY, beyond the case study and examples we feature, and in corporate, as well as educational contexts. These have included working with high level executives in France to elaborate strategy and exploring threshold concepts and assisting new postgraduate students in London to figure out what ‘postgraduateness’ is. (One of their number was even studying a Masters degree in Applied Imagination, which seemed wonderfully aligned with the spirit of the workshop. Her course also serves to illustrate the ways in which we are becoming more explicit about our explorations of what imagination is). In between she has worked with 40 teenagers from non-traditional backgrounds, attending taster days to see if a future in fashion is for them, supported student teams working collaboratively with industry to diversify their product ranges, and explored with executive coaches and MDs how LEGO SERIOUS PLAY might help them develop as professionals and serve their teams. 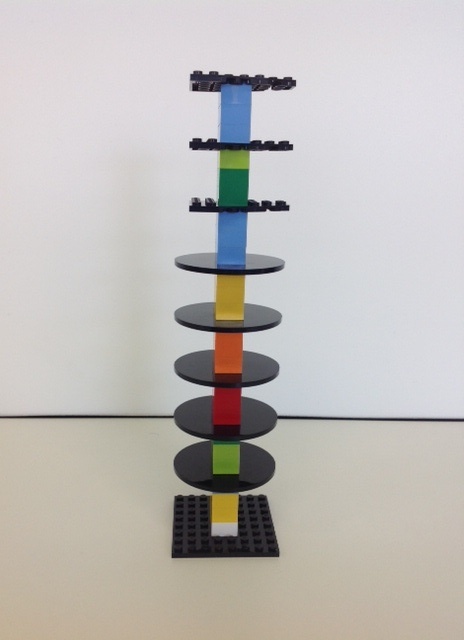 Alison also set up a university community of practice – Legolab – dedicated to experimentation with LEGO SERIOUS PLAY for educational purposes, and its blog is here.